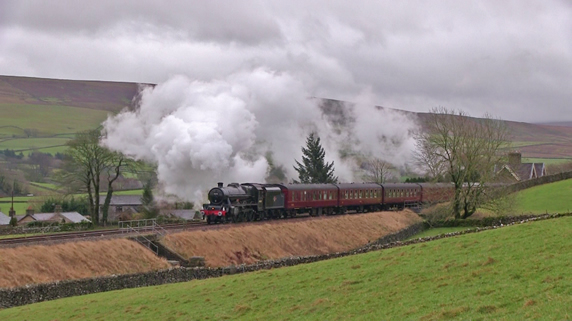 On a cold and damp winter's day, LMS 5XP No.45690 'Leander' is seen hauling 'The Winter Cumbrian Mountain Express' on the 26th January 2019, seen passing Horton In Ribblesdale, Plumpton and Great Strickland. 'The Winter Cumbrian Mountain Express' hauled by LNER B1 No.61306 'Mayflower' and SR MN No.35018 'British India Line' on the 2nd February 2019. The return of 'Bahamas' running from Oxenhope (KWVR) to Carlisle & Return on the 9th February 2019. Seen at Gargrave Viaduct and Helwith Bridge. Visiting the Churnet Valley Railway for their upcoming Winter Steam Gala, Caledonian Railway No. 419 is seen participating in a 30742 Photo Charter on the 10th February 2019. LMS 5XP No.45596 'Bahamas' tackling the S&C on the 16th February 2019. Seen at Coniston Cold, Langcliffe, Lazonby, Baron Woods and Greengates. 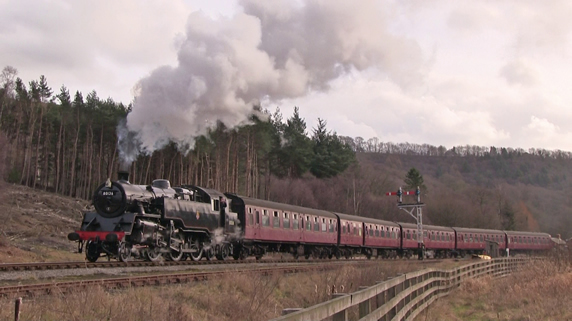 The North Yorkshire Moors Railway on the 18th February 2019 featuring BR 4MT No.80136. The Keighley & Worth Valley Railway on the 21st February 2019. 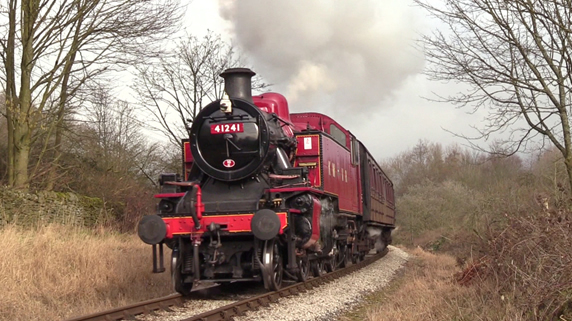 Services were hauled by LMS 5MT No.45212 and LMS 2MT No.41241. 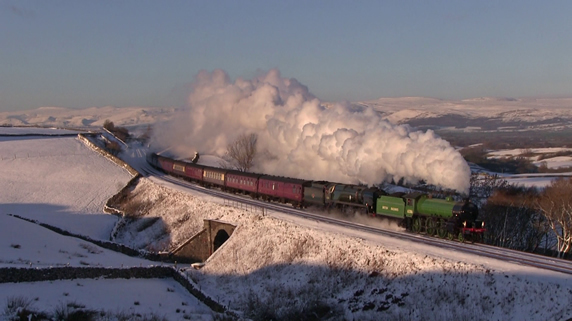 'The Winter Cumbrian Mountain Express' and 'The Settle & Carlisle Thunderer I' on the 2nd March 2019, hauled by SR MN No.35018 and LMS 8F No.48151. 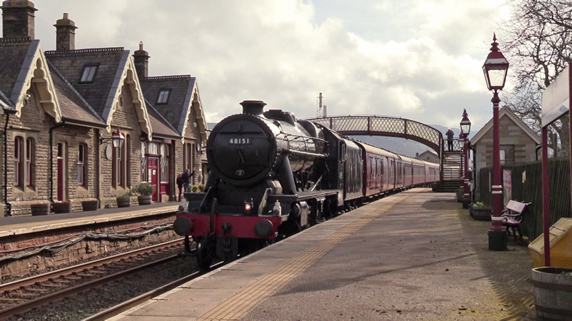 LMS 8F No.48151 seen at Kirkby Stephen Station & Birkett Tunnel and SR MN No.35018 seen at Greenholme & Greengates. 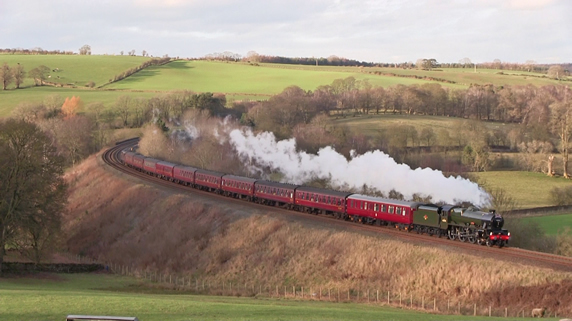 'The Auld Reekie' on the 3rd March 2019 hauled by LNER A1 No.60163 'Tornado' seen on the climb out of Leeds to Cross Gates. The Keighley & Worth Valley Railway during their Spring Steam Gala featuring the return of LMS 5XP No.45596 'Bahamas' and visiting engine LMS 2MT No.46521. 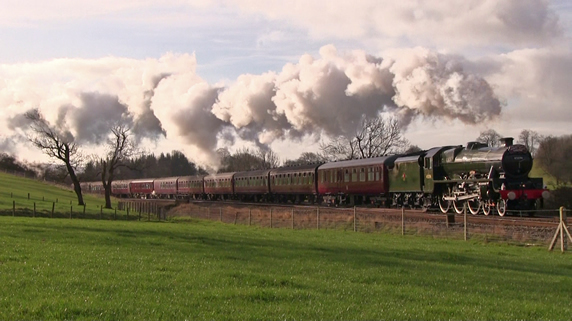 Also hauling services over the weekend were 45212, 41241, 78022, 1054, 5820 and 43924. 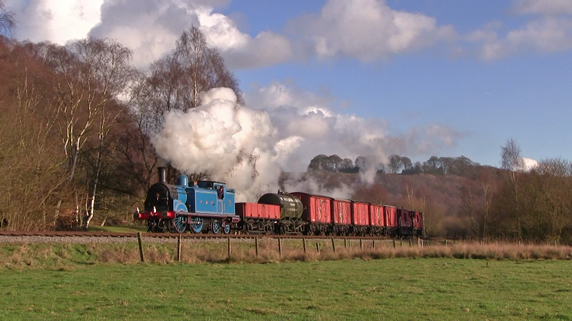 As per previous years, in conjunction with the railway we're putting together the annual Spring Steam Gala 2019 DVD & Blu-Ray, featuring footage from throughout the weekend, plus footage of 'Bahamas' hauling the recent S&C charter services from Oxenhope to Carlisle. 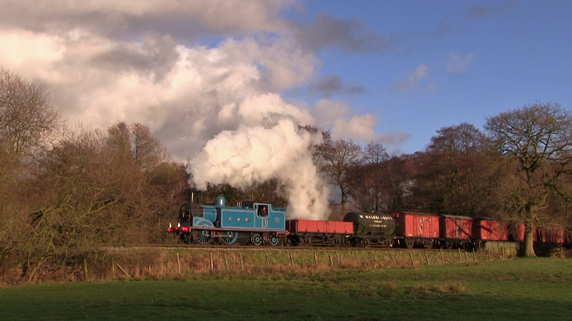 'The Wensleydale Railway' hauled by LMS 8F No.48151 and SR MN No.35018 'British India Line' on the 6th April 2019. 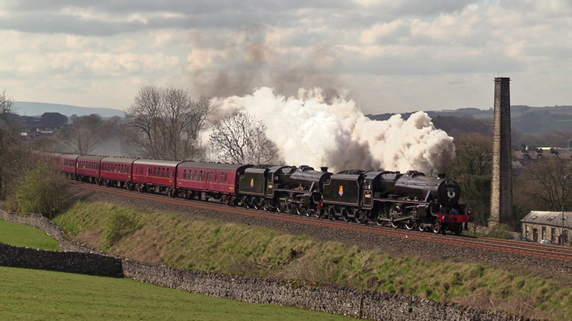 A busy day in the north today for mainline steam as 44871, 45407, 60163 and 45690 all pass through Hellifield. 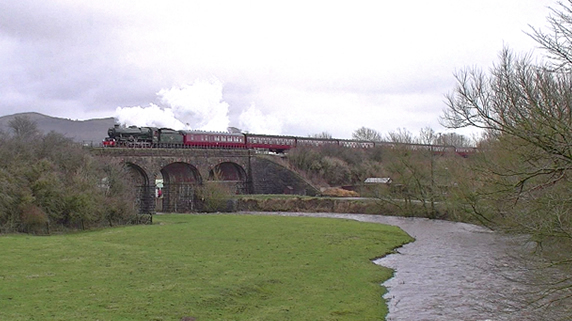 45690 seen at: Gisburn Viaduct & Giggleswick Bank.